So. Just saw ANT-MAN for a second time, just because. Hold’s up – this one really works. 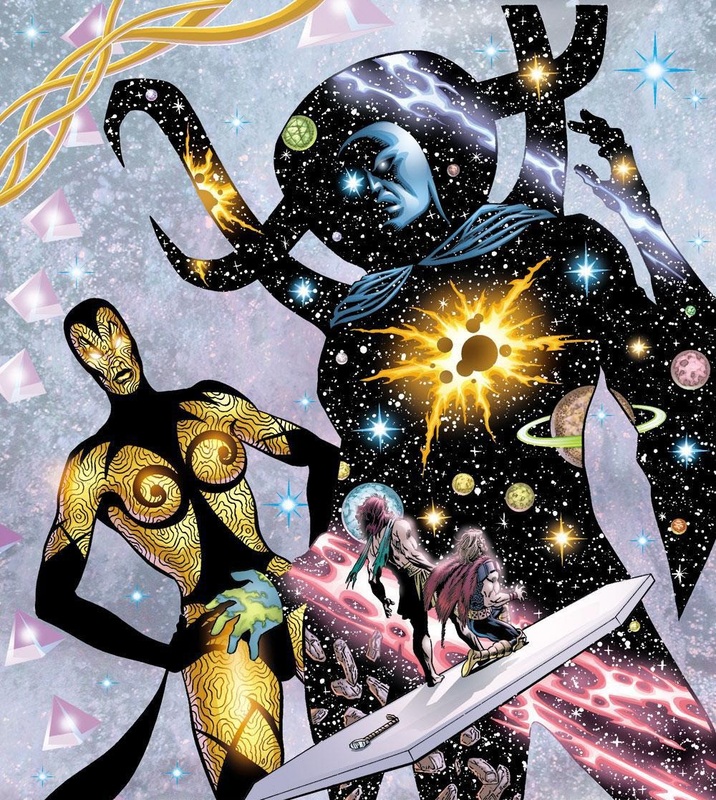 Not GUARDIANS-level transcendent, but really good. Anyway! Long story short: By now you’ve heard that there’s quite a bit of Universe-building business sprinkled throughout this one – multiple cameos, two post-credits beats and a no-name name-drop. But on my second viewing, I’m reasonably certain I caught a glimpse of something that’s either a sly inside-reference, the most well-hidden Easter Egg since Cap’s prototype shield on the workbench in IRON MAN (the first one) …or I’m seeing things. Okay. 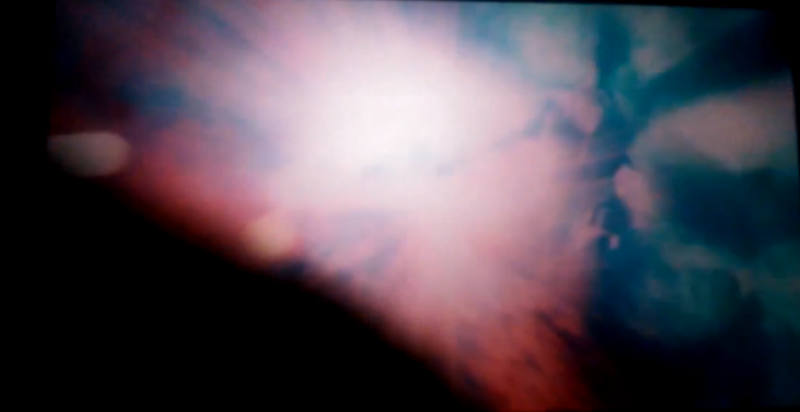 So, ANT-MAN’s version of Chekhov’s Gun Finishing-Move is “going subatomic,” i.e. using the Ant-Man suit’s shrinking capabilities to reduce one’s size down below that of the building blocks of life – useful, but super-dangerous because if you shrink too far you hit the point where physics and reality no longer matter and start slipping through the cracks in space/time, and in the film’s backstory, doing so led to the death of original Ant-Man’s wife Janet “The Wasp” Van Dyne (hence why he’s adamant that his daughter Hope not use the suit herself, hence the conscripting of Scott Lang as the new Ant-Man.) 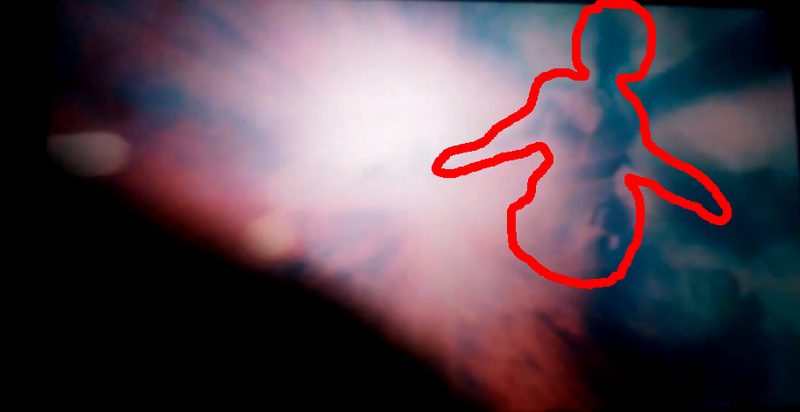 Using this technique ultimately turns out to be the only way for Scott to defeat YellowJacket in a deadly situation, and he winds up tumbling down through the Subatomic World in nifty, possibly COSMOS-inspired sequence (there’s a Tardigrade!!!) that starts out straight-science and then goes all Cosmic Marvel. Anyway! At one point in the process (during both the “shrinking” and “escaping” shots), we pass through what vaugely looks like a cloudy mountain-range of some kind. In the upper right-hand corner of the frame, I’d swear you can see (partially masked by “clouds”) what appears to be a gigantic humanoid figure looming over the scene. It’s brief, it’s not “pointed out” and it could be anything – but it sticks out to me because it’s there both times. So. What say you, Internet? 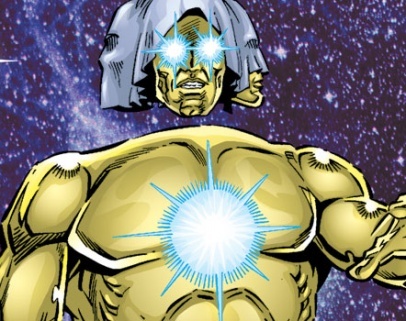 Have we seen our first Cosmic Entity in the MCU?